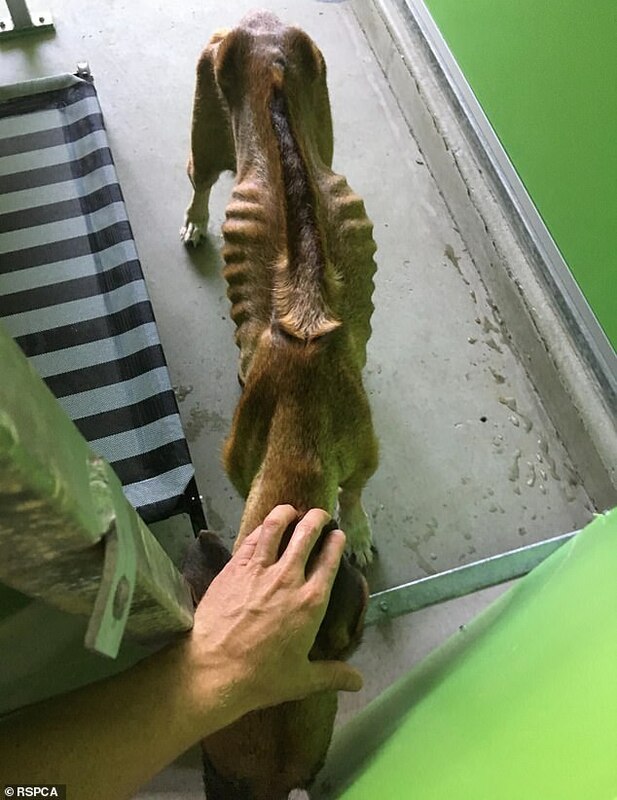 A woman and man who left seven dogs without adequate food, water or bedding have been banned from owning an animal for two years and each let off with a fine. 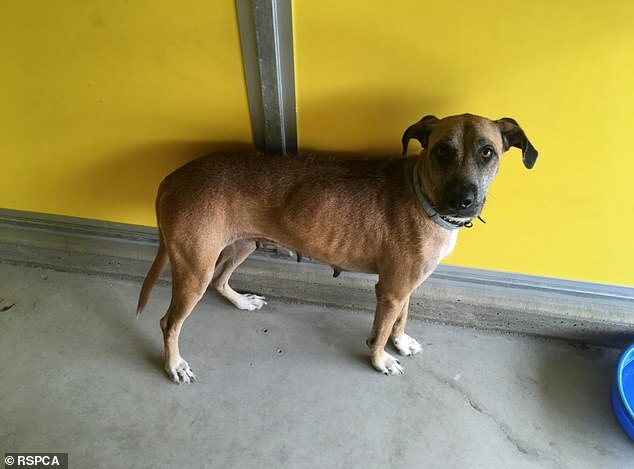 Caterina Armanelli appeared in Cairns Magistrates Court on Thursday, where she pleaded guilty to failing to provide adequate care for her female Rhodesian ridgeback Brownie, her brother-in-law's male Siberian husky Demon and their five puppies. Her brother in law, fly-in fly-out worker Adam Manfield didn't attend court but was also convicted, The Cairns Post reported. According to the RSPCA statement of facts supplied to Daily Mail Australia, inspectors executed a search warrant of Manfield's Woree property last October in response to neighbours' reports of concern about the animals' welfare. 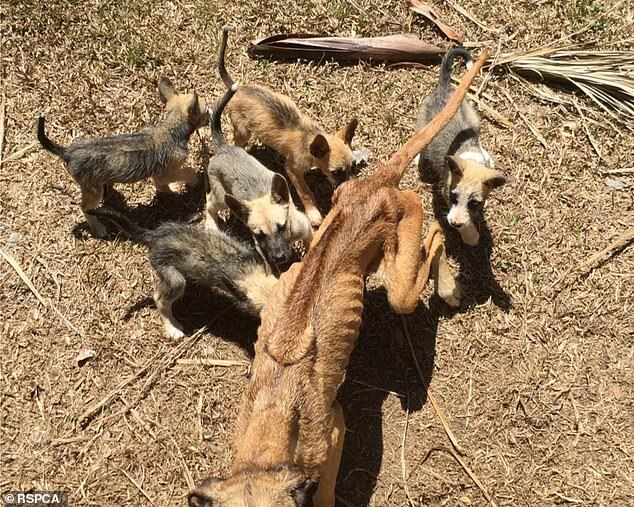 Brownie was found in severely emaciated condition while the terrified puppies, aged 5-6 weeks hid under some old car shells and refused to respond to approach by inspectors. 'There was no food or water available for the dogs or puppies,' the RSPCA statement of facts states. RSPCA seized the dogs and took them to a vet to be examined. 'Brownie was emaciated, with a body condition score of one on a scale where 1 is emaciated and 9 is obese,' the statement of facts read. While Demon and the puppies were found to be reasonable condition, all seven dogs seized were dirty and required worming. 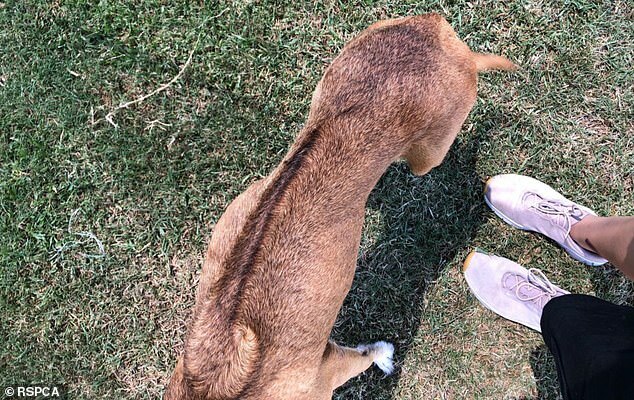 The court heard Armanelli argued with Manfield to relocate the dogs to her home where she had more room but had her defence dismissed by Magistrate Joe Pinder. He told the court Armanelli failed every moral test and obligation as a pet owner to Brownie, The Cairns Post reported. 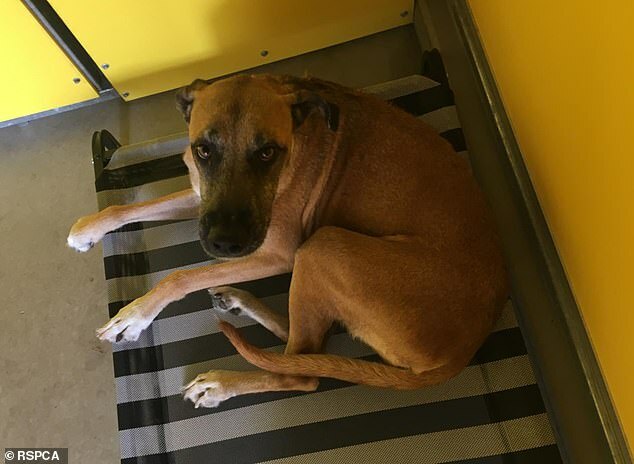 'You don't have to be a veterinary surgeon to understand that this dog is severely emaciated,' Magistrate Pinder said. Armanelli and Manfield were each fined $3000. All puppies and Demon have since been adopted while Brownie remains in the care of the RSCPA, having recently returned to her goal weight.